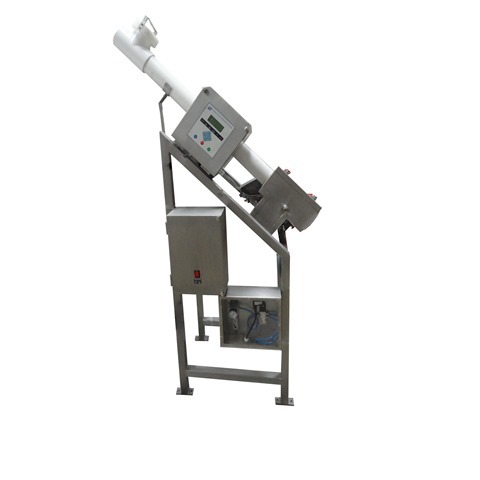 Gravity Feed Metal Detector systems are to designed inspect any free flowing bulk powder or granular materials such as Pharmaceuticals, plastic pellet, cereals, flour and chemicals. Any free flowing materials may be passed through the vertical drop system. The unit fits into an existing pipeline or beneath a feed hopper and the product fall by gravity. The metal free product passes straight through the mechanism and diverts the ferrous and non ferrous and stainless steel contamination from the main floor. Rectangular and larger throughput systems are available to special order, suitable for floor or suspended mounting. The high feed flap reject in the Gravity Feed Metal Detector ensures positive rejection of metal contamination every time unlike "Trouser Leg" when rejection of the good materials. The material to be examined is send through the equipment in free fall. Uncontaminated material passes unaffected by the reject device. If metal is detected by the metal detector solenoid operates a flap and diverts the contaminated material. After an adjustable period of time the "Rejection Duration" the flap returns to its original position. The valve is mounted beneath the detector at the minimum distance to ensure it can fully close before contamination arrives when under maximum load. The complete mechanism has smooth flow lines and can be quickly dismantled for cleaning if required. 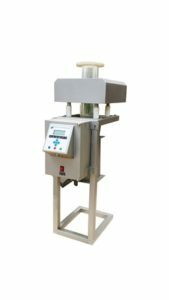 In Line Gravity Fall Metal Detector systems are ideally suited to inspecting dry, Free-flowing products such as food grains, flours, cereals, rice, nuts, sugar, plastic pellets and flakes, etc. These systems are mounted on VFFS (Vertical Form Fill & Sealing) Machines for vertical packaging material in line inspection before packaging. If the free fall height is increased, the distance between the detector and reject device must be increased in order to maintain adequate time for the pneumatic operated reject device to respond. Small changes in the detector-to-reject device distance can substantially affect the maximum allowable free fall distance. Rigid and compact in size. Detects ferrous, Non- Ferrous & Stainless Steel Metals. Highly Sensitive for all types and metals. Contact parts of stainless steel 304/316 grade. Advanced DSP with high and accurate detection levels. Widely used for a wide range of any free falling products such as namkeens, food grains, ingredients, spices, powder, flour, seeds, dry fruits and chips etc. OFF Line Gravity Feed Metal Detection system are ideally suited to inspecting dry, free-slowing products such as food grains, flours, cereals, nuts, sugar, plastic pellets and flakes, etc. 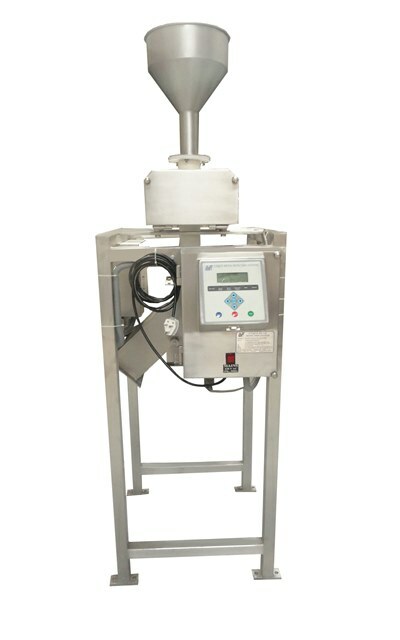 OFF Line Gravity Flow Metal Detector is mounted on rigid stand with a hopper and pneumatic operated reject device. The distance between the detector and reject device must be increased in order to maintain adequate time for the reject device to respond.